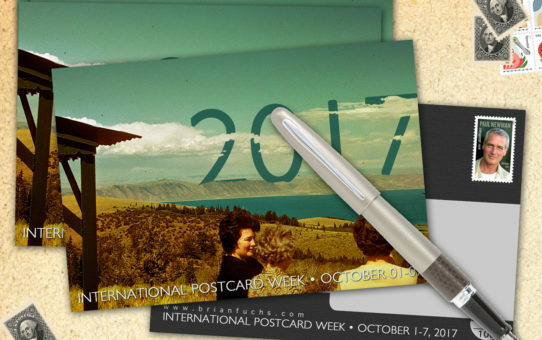 Next week is International Postcard Week. Check out the website for info. It’s a bit late, but it’s good info if you are interested in doing it in the future. In March there is a “National Postcard Week” as well, so get your designs ready! So, I haven’t been very quick to join these sorts of events, but I don’t have a good excuse. This time I did join, along with my mom, LaDonna Fuchs, and friend Justin Ward. Here are our cards for this year. Once the event is over, I will have the cards available from here to send for free. Stay tuned…. I am so glad you all joined! I added a link to your site underneath your postcard on the site.